NYC is Blue: Kreis "almost 100%" to NYCFC? 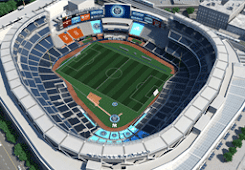 @ed_blythe @chrisjballard NYCFC coach has club to build from scratch. Plenty to do. If Kreis takes job, he'll do so w/ that understanding. This is excellent news, if true. Kreis has done an amazing job with Salt Lake, and his experience in the league would go a long way with a club starting from scratch.